It's so stunning it looks like a work of art. And technically, it is. By Abby Bielagus·	 1/18/2019, 10:45 a.m. 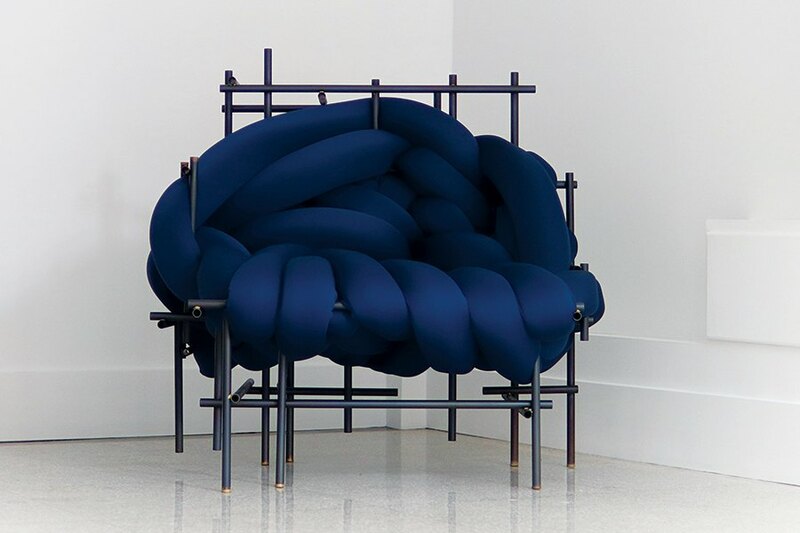 Currently on display at interior architect Amanda Pratt’s new gallery and retail space, Salon, this sculptural chair is so cushy you could spend a day reading on it and so stunning it looks like a work of art. And technically, it is. 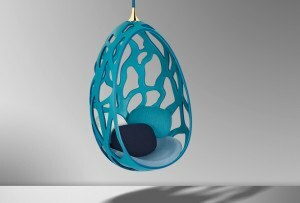 The creation of Detroit design collective Aratani Fay, each custom piece’s shape is roughly sketched before the artists construct the metal frame. But the real genius emerges during the foam-weaving process: “We build the form spontaneously. There’s no planning,” Evan Fay says. “We’ve gotten better at learning when to stop, but it takes a careful eye and patience.” And, of course, the ability to tie a really good knot. Aratani Fay, “Lawless” steel, brass, and foam chair, $10,000, Salon.